Blockchain is a disruptive technology that’s poised to change the world and have a major impact on a number of industries in the coming years. As this relatively new tech continues to gain momentum, there has been a sharp increase in the number of blockchain-related opportunities popping up. Since 2015, the number of blockchain-based jobs has grown by over 550%. 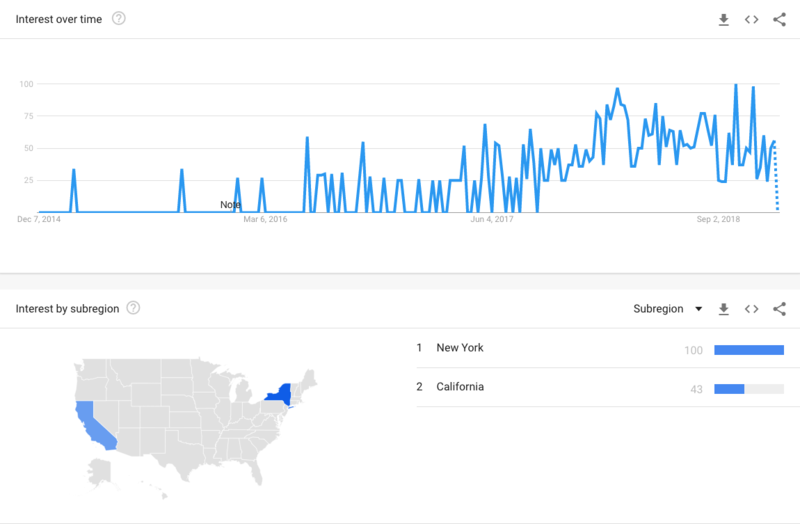 Additionally, Google Trends shows a significant increase in interest when it comes to blockchain courses. 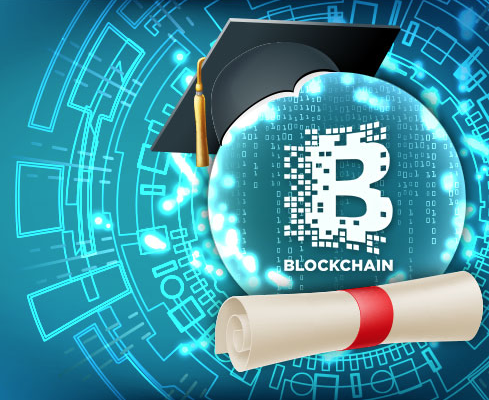 Given the interest from potential employers and students alike, some of the most prestigious academic institutions in the world are indeed offering blockchain/cryptocurrency courses and, in some cases, even degrees. One university that’s leading the blockchain charge is Stanford. Established back in 1891; Stanford is an institution known for its superior academic reputation – so much so that it’s often mistaken for an Ivy League school. Stanford, not only has roughly ten (10) blockchain-related courses but they also recently launched their own Center for Blockchain Research. Despite the fact that Cornell has been around since 1865, it still the youngest of the Ivy League schools. The alma mater of the Office’s Andy Bernard is also an influential research university and a leader in computer science. Given its reputation, it should come as little surprise that the school offers a curriculum that features around nine blockchain-related courses. “Introduction to Blockchains, Cryptocurrencies, and Smart Contracts” is an example of one of the many classes available at Cornell. Moreover, at least according to Trustnodes.com, Cornell is the best university to study blockchain tech. With its main campus located in Illinois’s twin cities of Champaign and Urbana; this world-renowned university has been in existence since 1867. In the 20th-century the University of Illinois At Urbana- Champaign was considered a pioneer in the field of Computer Science and is credited with building some of the first digital computers. The school is also the home of the National Center for Supercomputing Application (NCSA), as well as the fastest supercomputer on a university campus. “Applied Cryptography,” “Smart Contracts and Blockchain Security” and even “Cryptocurrency Security “are some of the classes available at UIUC. UNIC is the largest university in the country of Cyprus. The college opened in 1980 and currently has about 12,000 students enrolled –from roughly 70 different countries. What makes the school unique is that it’s that it offers the first master’s degree in digital currencies. Those perusing a degree in crypto will take classes like “Introduction to Digital Currencies,” taught by industry leaders like Andreas Antonopoulos. Moreover, students can even pay their tuition using Bitcoin – as UNIC is the first University to accept the popular digital currency. — Individuals looking to pay their tuition using fiat currency can expect to spend about $13,857 (USD). The Massachusetts Institute of Technology is a private research university that opened its doors in 1861. The school is considered a leader in artificial intelligence and open-source programming. Recently, MIT has also taken an interest in becoming a pioneer in the field of blockchain tech. With their Media Lab’s Digital Currency Initiative, MIT is doing their part to help develop this intriguing new technology. The Initiative is spearheading research projects, papers, and even provides support for the school’s blockchain groups. In 1838, what is now known as Duke University, was founded by a group of Quakers and Methodists. Since that time, the North Carolina-based institution has gone on to become a collegiate powerhouse – especially in fields like technological research. The university offers a course called “Blockchain and Innovation,” which is free for all undergraduate students. Given that blockchain has only been around since 2008, the fact that almost half of the world’s top colleges are offering classes on it is speaks volumes. As this fascinating new tech continues to grow in popularity, it’s likely that even more, academic institutions will be adding blockchain courses to their curriculums. Feel free to comment your thoughts below!